The new trend in this day and age is going green and being eco-friendly. Every day new concepts and technology is created to help the environment and reduce waste. This trend is becoming stronger for 2011, as the population becomes more concerned about the environment. The new year is bringing innovative ways to go green. 1. 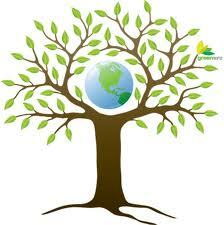 Become educated about how to become more environmentally friendly. Read blogs, research issues, and contribute your thoughts to the matter. 2. Consider new lifestyle habits instead of sticking with old ones. Try to break free from chronic global clutter and excessive consumerism. 3. Find do it yourself ways to make things instead of buying them. 4. Avoid fast food restaurants and try to cook at home. They may be cheap and quick outlets, but the industry is responsible for contributing billions of tons of waste annually to our planet. 5. Stop wasting food. Buy less if you can’t consume it, freeze leftovers, or give excess to someone who needs it. 6. Try working vegetarian food into your diet and help reduce the overall demand for factory farmed protein. Try to commit to a plant based lifestyle for a day or a week, or a full year if your feeling veggie. 7. Household items may collect dust, but avoid throwing them away. Instead, donate them, sell them, or ask a friend or relative if they might want your unwanted items. 8. Recycle old and outdated clothing by refashioning them. Create unique pieces of clothing or accessories out of your old clothing and accessories. What could have been thrown away could now be a new fashion statement. 10. Try to bike and walk or run more instead of relying on gas. 11. Clean with simple and pure ingredients and steer away from air fresheners that release vast amounts of volatile organic compounds. Plants are a great way to filter your air. 12. Buy a water filter and drink real water. Avoid buying bottled water, instead use a real glass from a real faucet. 14. Become apart of consumer conscious programs such as TerraCycle, RecycleBank, NuRide, MyEex, and Neighborhood Fruit. These are just a few groups that help the planet. 15. Finally, share your eco-friendly efforts with others. There may be something you do that others may benefit from, and vise versa. Spread the word to help the environment.